My latest quilt is being shipped off this weekend, so its debut here will have to wait until it arrives. 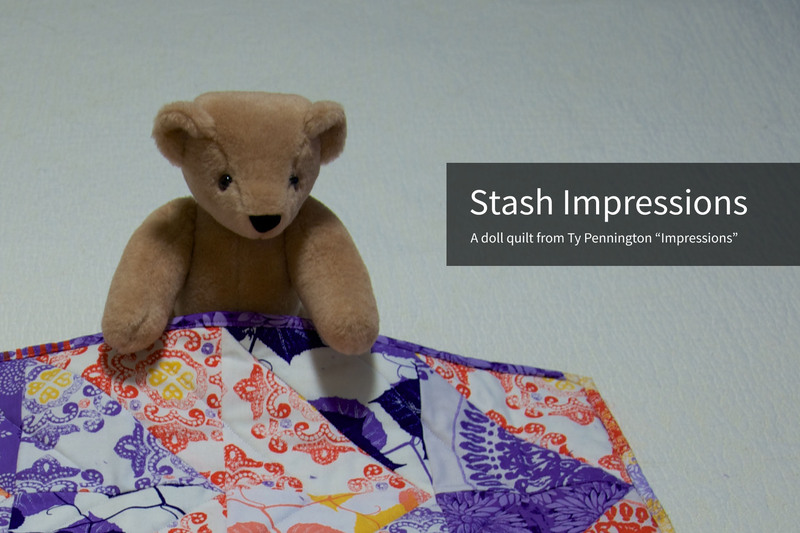 In the mean time, I dug into my stash today for a small gift for that quilt recipient’s sister. I still had a few bits and pieces left over from the quilt I made her in 2012—the Impressions Baby Quilt—so I thought it high time to round out her gifts with a doll quilt (prop Vermont Teddy Bear not included). 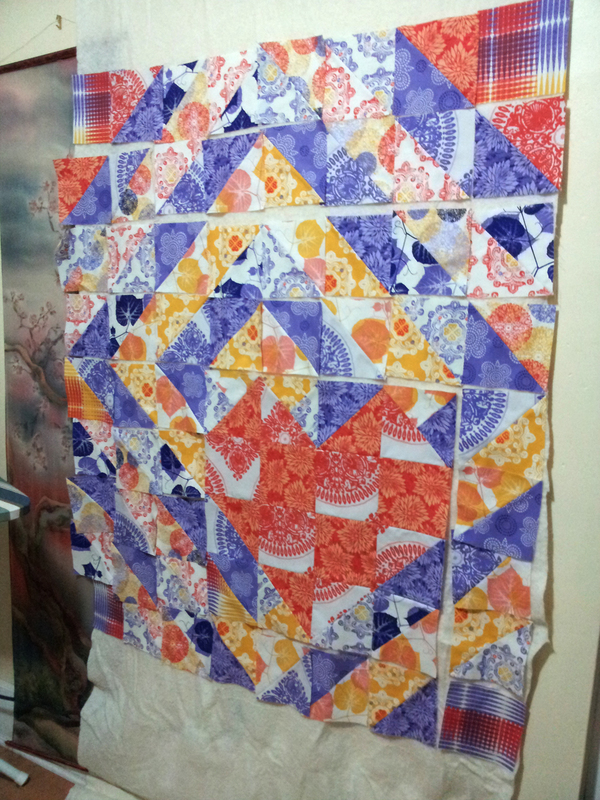 It was an extraordinarily fast project; all the half-square triangle blocks were already sewn up and sitting in my scrap bin from the original quilt piecing, waiting to be stitched up into something. Finished size is 15″×20″. A scrap of 80/20 batting and a bit of stashed cuddle-type fabric that’s cut edge shed so much I’m amazed there’s still fabric finished up the quilt sandwich. I quilted it with just a few straight lines following the HST seams, which is how the larger quilt was quilted. 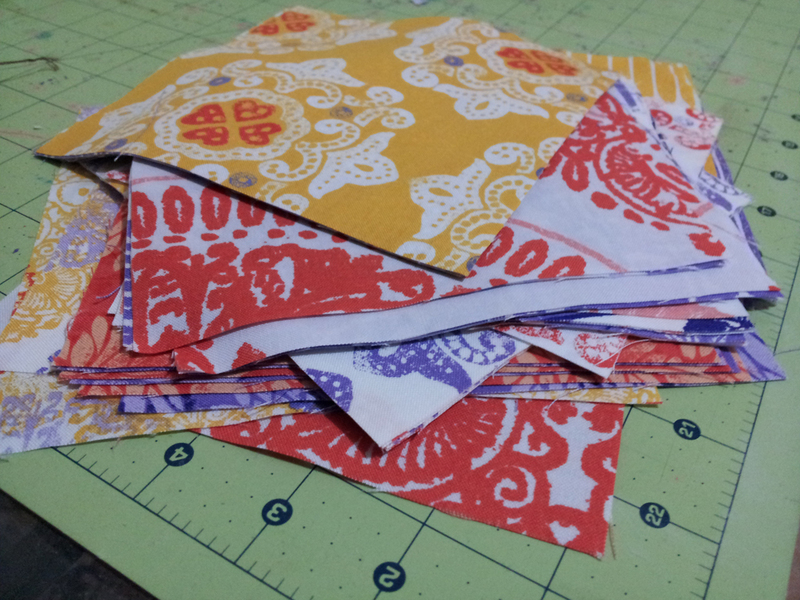 I bound it with more scraps from the line that were already conveniently cut into 2.5″ strips. More of my stash was busted and one little girl won’t be so sad when her baby sister receives a package next week. That’s not too shabby for an hour or so on a lazy Saturday afternoon. Baby quilt two of the fall rush is complete and delivered. 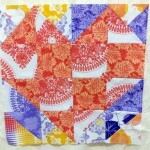 I was inspired by all the diamond HST quilts in blogland, and decided to throw in a heart just for good measure. 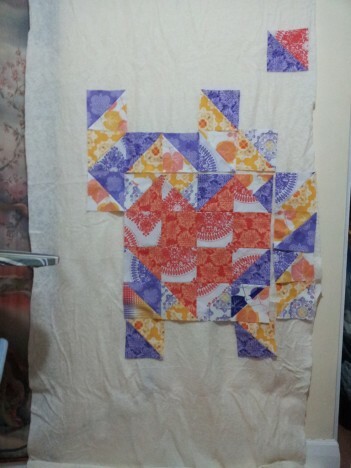 It finished at around 41″×45″. 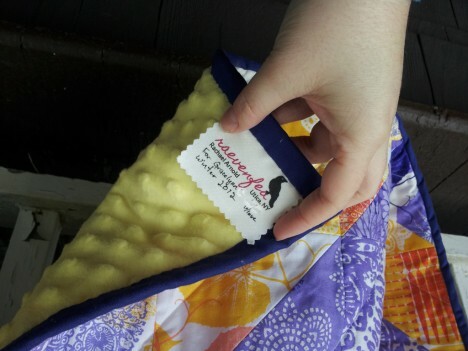 It’s backed with a solid piece of Minky fabric. 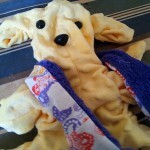 It’s wonderfully soft and cozy. 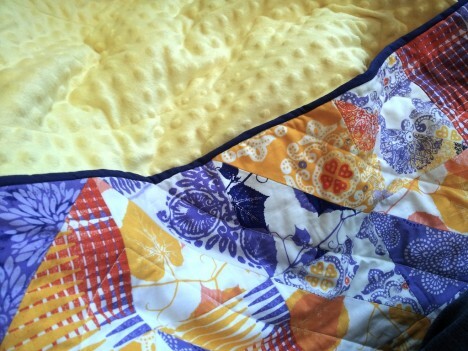 Because of the Minky backing, I didn’t want to quilt it too closely. So, I just echoed the diamond inside the middle of the HSTs, and made a couple of echo lines inside the heart. Her initials are also in the middle of the heart. The density (or lack thereof) is pushing the limits of the 80/20 batting I used, but I think it will be ok.
Because of the lack of pieced backing, I didn’t make a custom label. 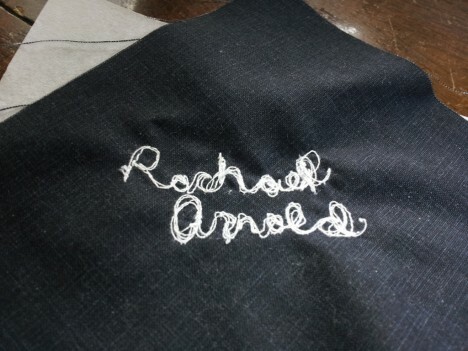 I just used one I had printed from Spoonflower, and added a few details in handwriting. 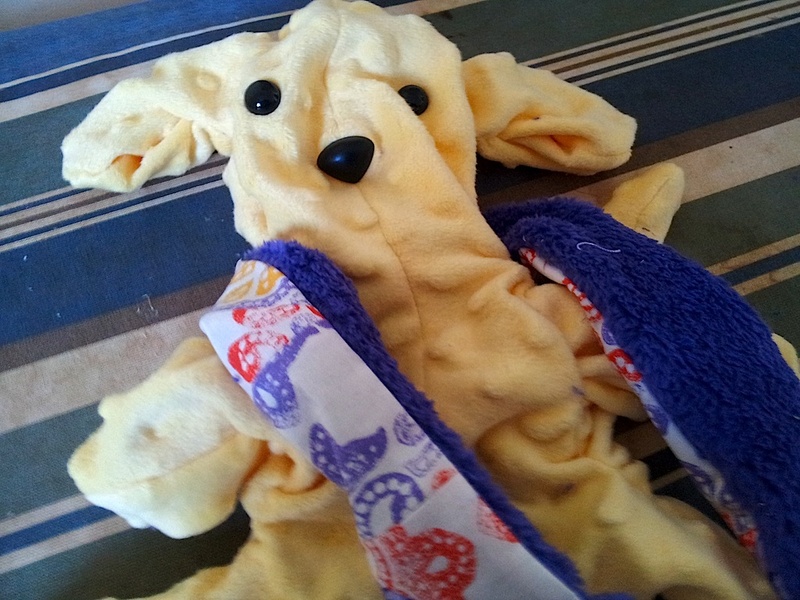 To complete the set, I made another modified Simplicity 2613 dog out of the leftover Minky, along with a small scarf of leftover top pieces and some other fuzzy purple fabric I had in my stash. I like how the pattern goes together with the Minky… it will be used again, I’m sure. Choosing a binding was hard. Arduous. I wanted to use leftover scraps, but piecing those small triangles meant that my planning failed again and I didn’t have enough. I think it would have gotten lost in the top anyhow. The only semi-matching fabrics in my stash were solids: a yellow (Kona Canary, I think) and a dark purple (Moda Bella Terrain Iris). I asked Twitter. 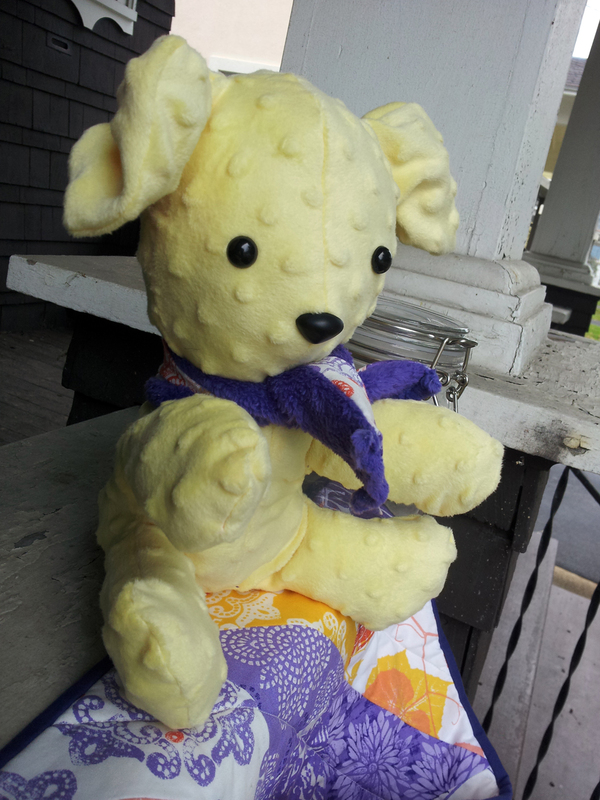 Susan and my sister both said yellow (or scrappy), but in person it just looked so wrong. Too bright, too off from the other yellows in the quilt. Carl agreed. So, I went with purple. It’d be nice if it were lighter, but it is very close to the darkest purple in the prints, and frames it well enough. It’s fine. 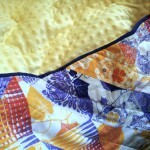 I’m happier with it than the quilting, at least. It’ll be a few weeks before I write up the finished quilt. It has to be delivered first. 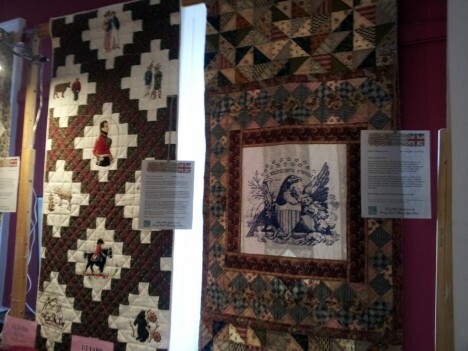 Last Sunday, we traveled to Sackets Harbor for the 1812 Reprise show that displayed the 26 quilts comprising the traveling show (which is booked through 2014, wow! My quilt is really getting around). As much as I enjoyed seeing the ~150 or so at the original show, I liked this one more. 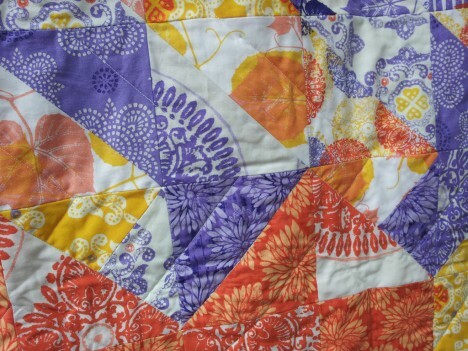 It gave me a chance to take in details that I’d missed before, and I saw a few quilts that I didn’t remember seeing the first time around (not including the few additional quilts entered just for the reprise show). 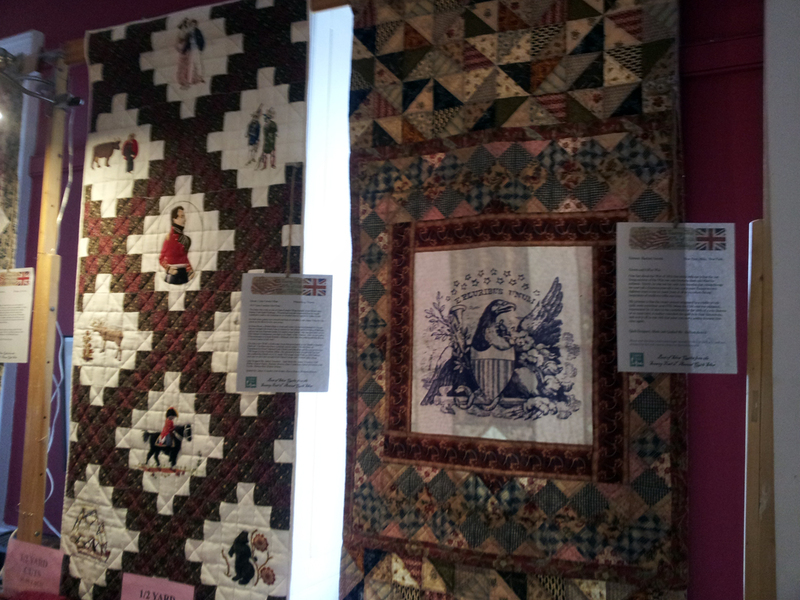 My own quilt was in good company, hanging next to the wonderfully embroidered quilt that took First Place. 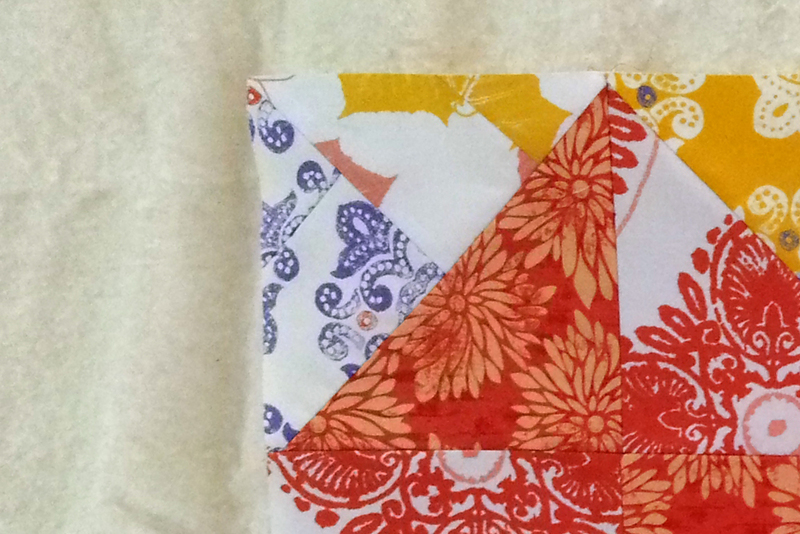 After Monday night, you can count me as another quilter addicted to EPP. This is all I’ve accomplished so far, but it’s fun. 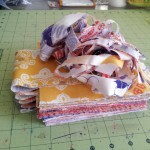 I just need to get more fabric pieces cut out so that I can sew over lunches, while watching TV, and in the car when Carl’s driving… it may get out of hand. I also need a nice bag. And better small scissors that haven’t been chewed by Moof. 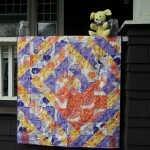 I joined a block swap that the LQS is doing. 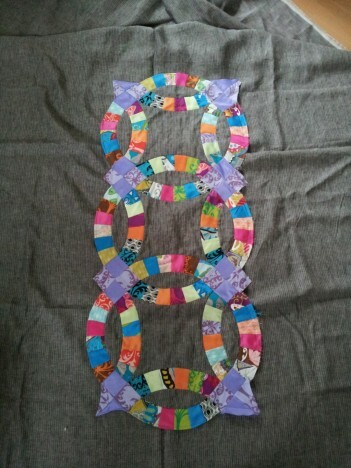 We’re doing puss in the corner blocks for this month, and we have to use repro fabrics, which is pushing me out of my comfort zone (a good thing, I think). 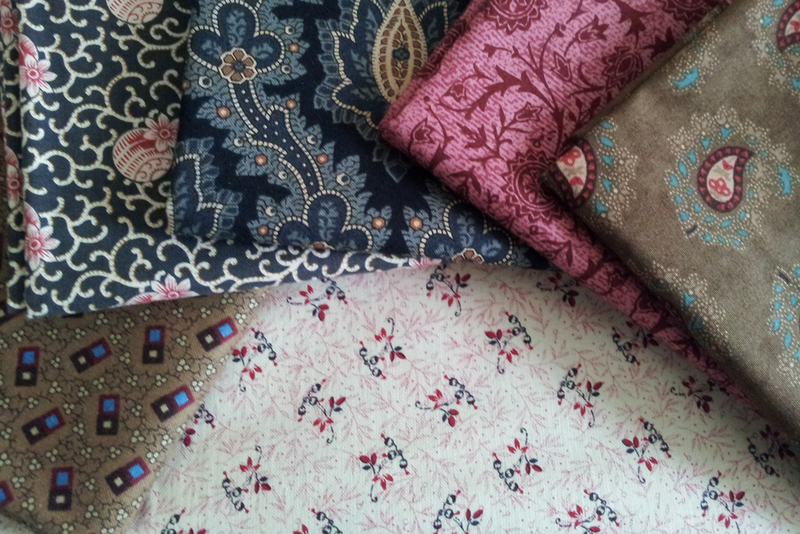 Here are the fabrics I picked. I haven’t started the blocks yet (we have to make 20). 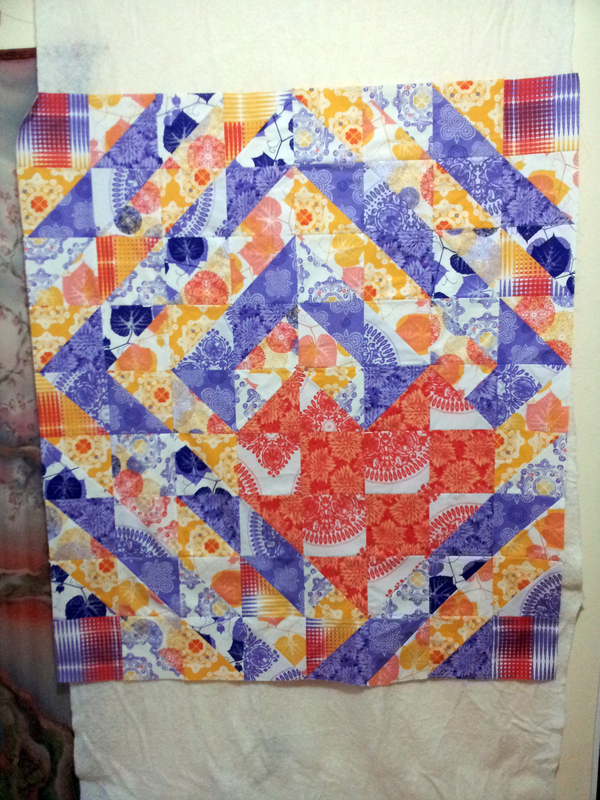 Last night, I swapped out the HST blocks that were predominately red for ones made with the leftover yellows in the Impressions Baby Quilt, and finished piecing the full top. 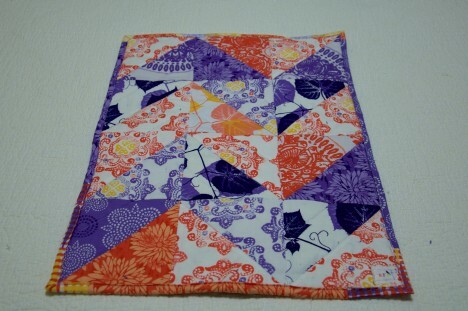 I should be able to quilt it this weekend. Finally, my experiment with DWR has reached its conclusion. I’m not finding myself interested in the project. Instead, I’m taking what I have done, doing some cobbled together trapunto-like technique that I’m making up as I go along to make some of the puffiness look intentional, and turning it into a medallion as part of another project. So far, I’ve sewn the rings to batting and turned half the edge under (you can see my basting stitches on the outer edge that hold the batting, and provide a guide for turning). It’s laying on top of the background fabric in preparation for applique. I haven’t decided on a size for the background, yet. 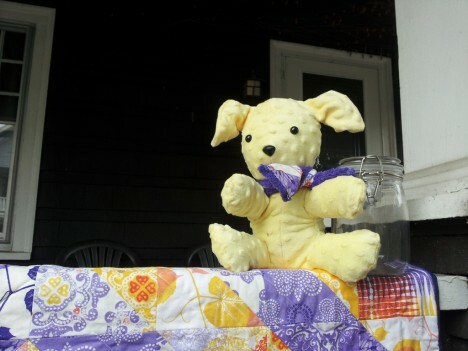 It’s not a total loss of a project; it’s a new direction. I like how the idea is shaping up in my head way more than how I liked what I thought the double wedding ring would look like finished. And, I think I’ll actually finish this one, as opposed to having another project boxed away because I don’t want to work on it. 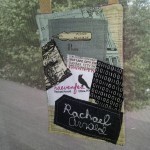 The lesson: it’s okay to not finish a project the way you initially envisioned it. The world will not implode, your stash won’t suddenly disappear, nor are you promising your first born to the devil by not finishing. 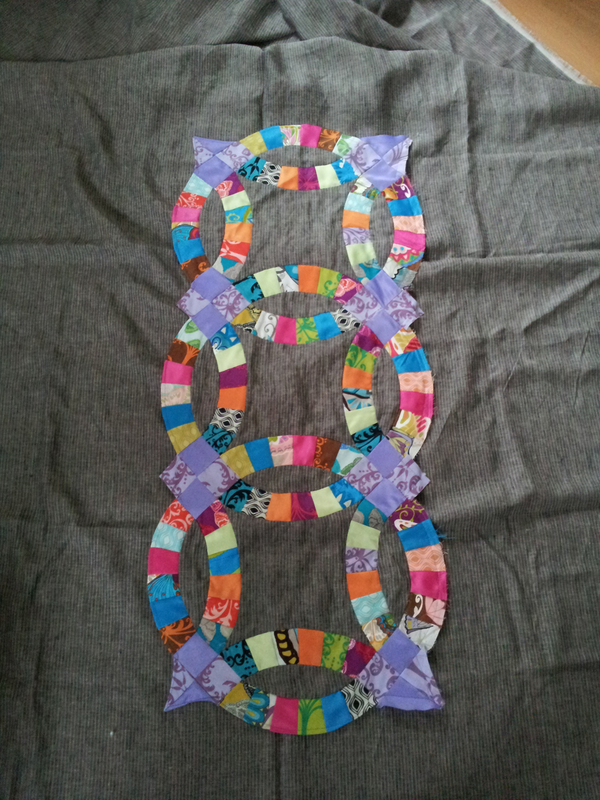 My original intent was to show you this project again only after completely piecing the top together. But instead, I’m going to point out my major math/planning fail. 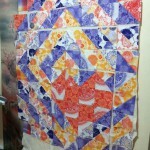 Last night, I finished piecing the HSTs for the Impressions Baby Quilt. 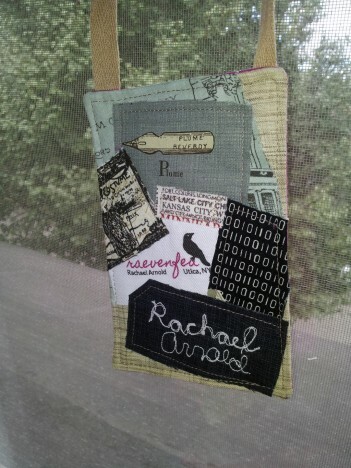 Don’t they look nice on my design wall the piece of batting I hung on the wall? How many 6″ squares can you get out of a fat quarter? The correct answer is nine. For some reason, my brain was dead set on believing it was only six. 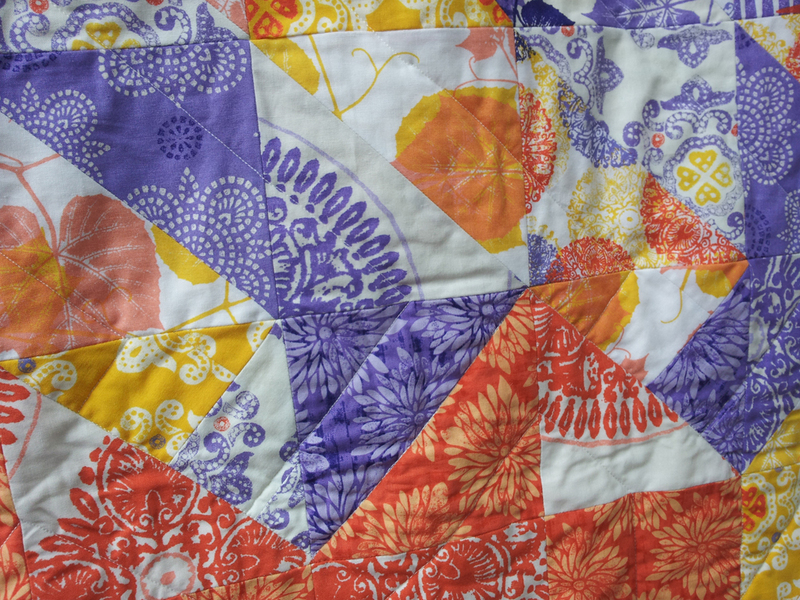 And so, when I planned this quilt out, I did so with the idea that I only had six squares of each fabric (or 12 triangles). The result of that belief was that I had to get creative with my color scheming, since I didn’t have quite enough yellow to continue the diamond patern. I was going to eek out the quilt top and scrappy binding with naught but a few slivers leftover from the twelve fat quarters I started with. 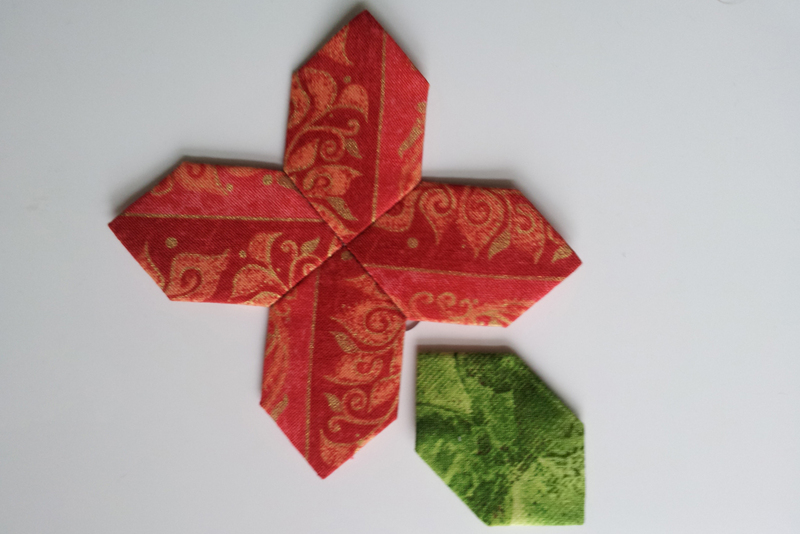 I even had to piece together the small triangles for the four blocks that have three pieces instead of two (the ones that comprise the points of the heart). 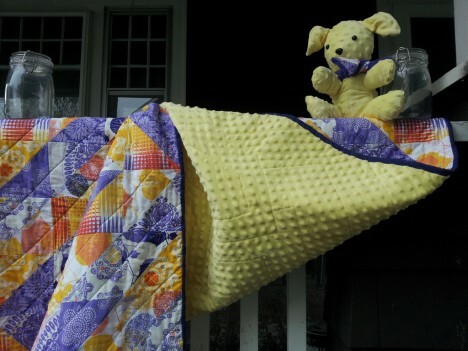 In reality, I have enough yellow to get much closer to my original plan and make at least one doll quilt to boot. I didn’t even need to piece those other triangles from the leftover strips. 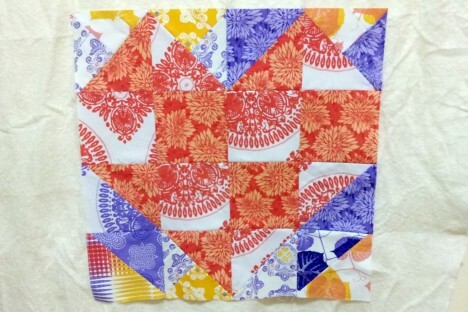 I’ll be whipping up more HSTs with the leftovers now, and swapping out some of the squares on the design wall before piecing the top together. Have you made serious mathematical errors before? 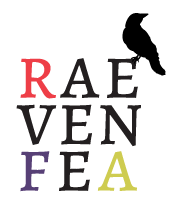 Does your brain get stuck in an erroneous “this is the right answer” mode? 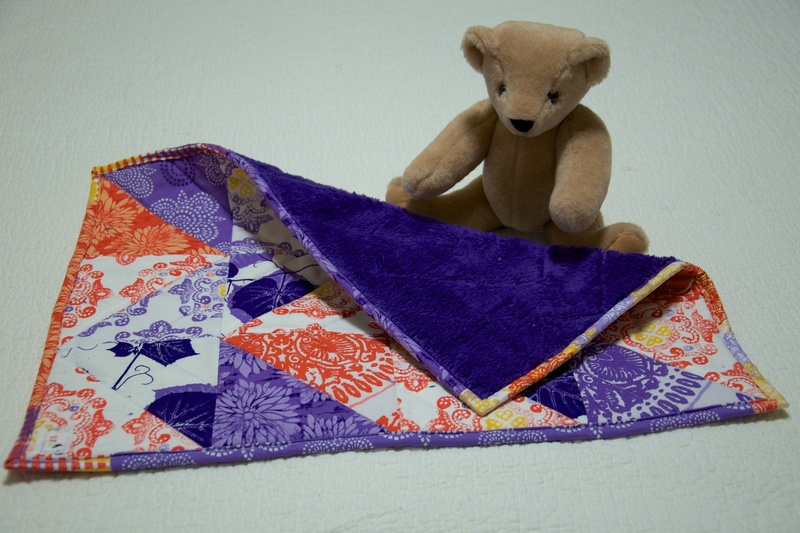 It’s not so cool as the ones I’ve seen some of you making for Sewing Summit, but my quilt club switched from plain ones to having us each make one. So, this is what I whipped up. I couldn’t really think of what to do, but then I started looking at my stash and it all came together in my head. 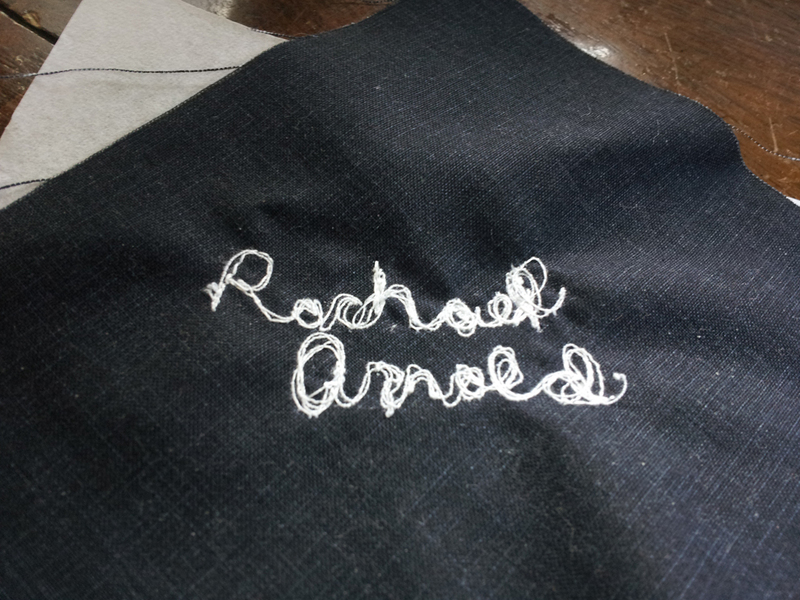 Mostly, it’s all just fused, then topstitched. I threw my quilt label in, a bit of binary (I am a computer scientist [well, theoretically], after all), “Kansas City” (my hometown), “Costume” (that’s how I got started sewing to begin with), and a pen nib (’cause I blog, and write, etc.). 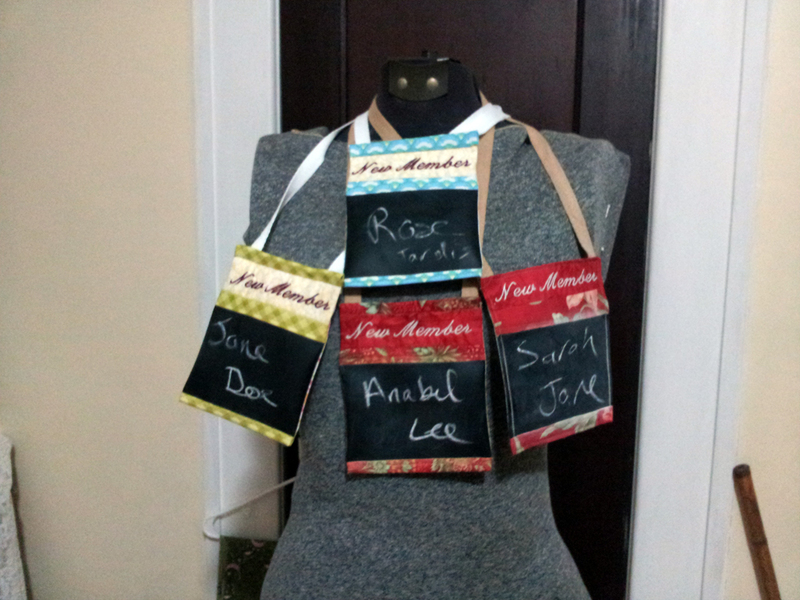 Once I was done with that, I whipped up a couple of additional new member tags. I bought new chalk, and am convinced that my chalk cloth woes were only partially due to the cloth, and largely due to the crappy Crayola chalk I had. So, in the future, I think I’ll stick to buying Prang Hygieia Chalk (which is cheap—99¢—at my local Staples). We’ll see how they work out over the course of the year. 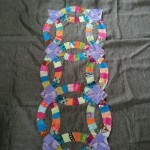 Which is good, because I don’t seem to be making much progress on WIPs in general, in favor of starting more projects. So, here’s to the start of a new Club year, and perhaps some finished WIPs. At least I made some progress on one of my projects this week. There’s a method to the madness of HSTs, you just can’t tell yet. 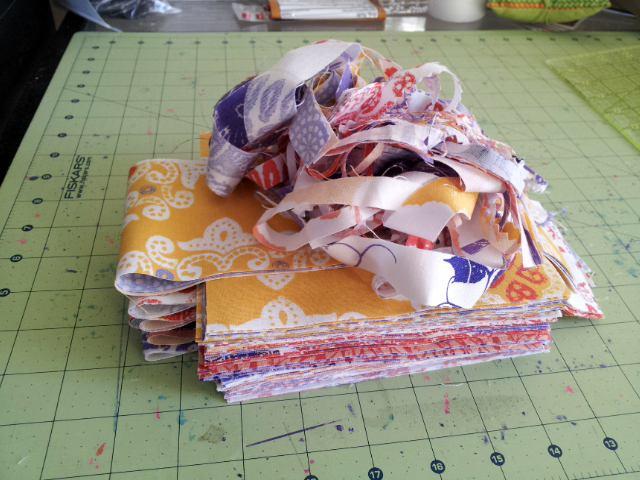 Twelve fat quarters, all chopped up into pieces and binding strips. 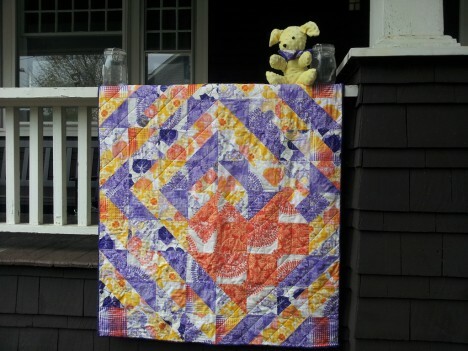 The only waste on this 41″×46″ quilt will be that tangle of strips from squaring up the FQs.